finishing with two very good pieces of news. 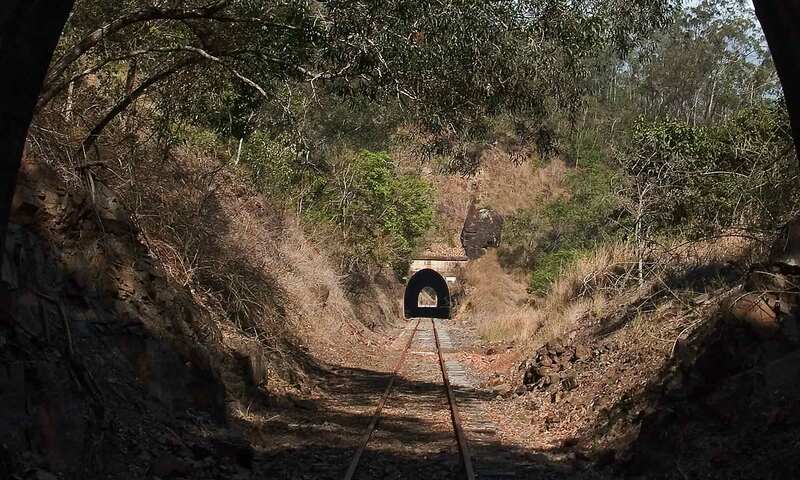 In December 2017 Desley O’Grady (Councillor Gladstone Regional Council) facilitated a community forum with the participation of fifty-five community members who displayed significant interest in preserving the Taragoola to Gayndah Railway Corridor. 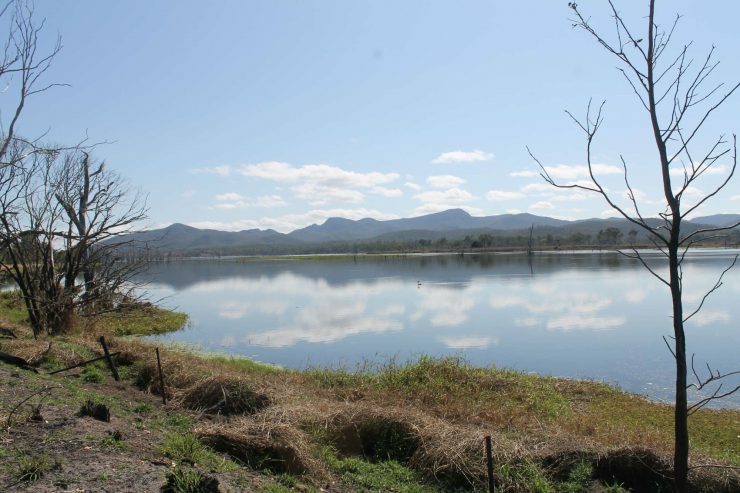 As far back as 2012 community groups from towns along the corridor had held discussions with Queensland government representatives regarding the future of the corridor. This new group coalesced a multitude of ideas and ambitions to concentrate on developing the corridor as a recreation trail to suit bush walkers, cyclists, and horse riders. 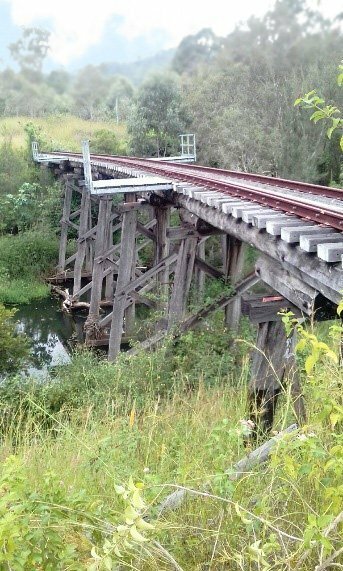 In June 2018 the BBIRT Working Group formed Boyne Burnett Inland Rail Trail Inc. Councillor O’Grady relinquished the chair believing this would enable her to vote on things ‘Rail Trail’ in Council. As a mark of respect the members moved to invite Councillor O’Grady to be our Patron. Once up and running, this project will attract thousands of tourists and associated economic benefits to rural communities along the corridor. 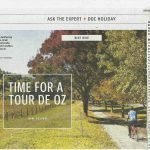 Anecdotal evidence from experienced adventure riders, a little research and this interesting video from Landline on the ABC all attest to this. If well developed, this rail trail can be world class, with many unique attractions. Our group has met monthly since December 2017 with very well attended meetings and has established good relationships with both State and Local Government. 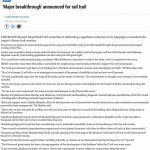 Our first major achievement, in conjunction with North Burnett Regional Council (NBRC) and Gladstone Regional Council (GRC), was to gain funding for a $99,000 Feasibility Study to investigate many aspects of developing the Trail. The report is due by the end of February 2019. This will provide direction on such things as the preservation & development of the Trail and key pieces of infrastructure. Regional Government has expressed doubt about being able to fund the Trail long term. BBIRT is keen to facilitate an improved funding model especially for regional areas away from the major urban areas. It would be very difficult for NBRC to fund this from a very small population base (about 10,000 people), despite the prospect of considerable economic growth through tourism for all the towns along the corridor. The first piece of good news – Department of Transport and Main Roads has agreed to preserve 51 bridges along the corridor. 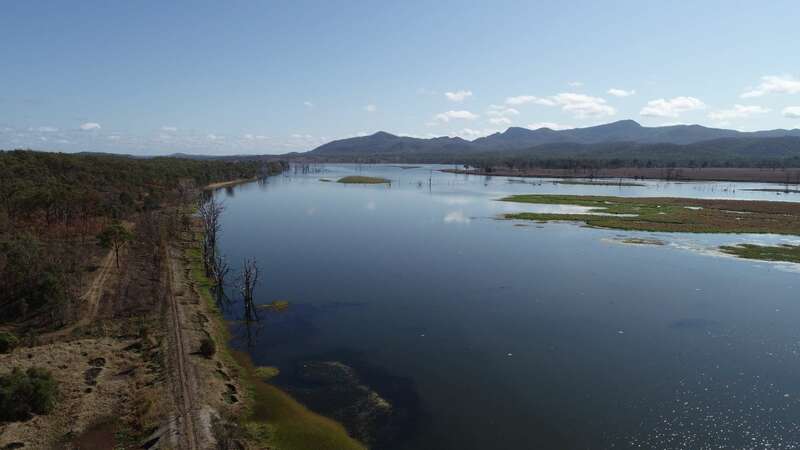 Deception Creek – Photo by Queensland Rail, complements Department of Transport and Main Roads. We have had plenty of discussions with the Department throughout the year, and this was not a foregone conclusion. Mr Mark Bailey MP, Minister for Transport and Main Roads, provided a succinct definition of the circumstances under which bridges should be retained. This was a key enabler for progress on the initiative. Subsequent discussion between BBIRT and the Department enabled the selection of appropriate bridges. 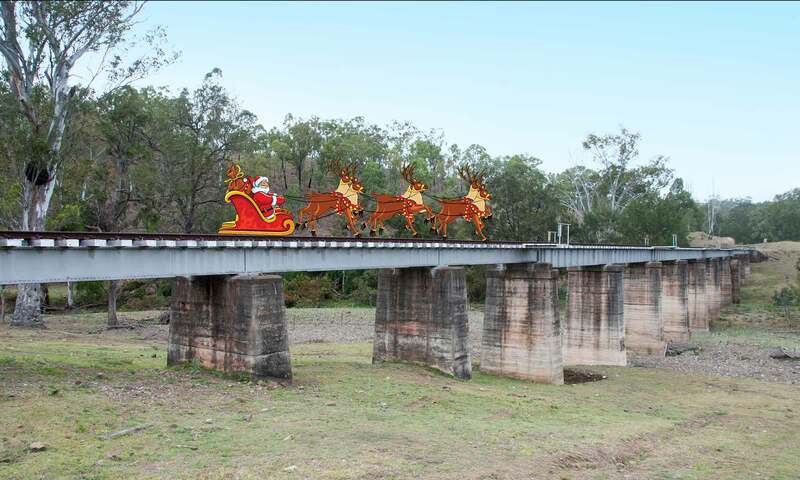 At our last meeting, Mr. Craig England, on behalf of the Department confirmed that these bridges will be retained. 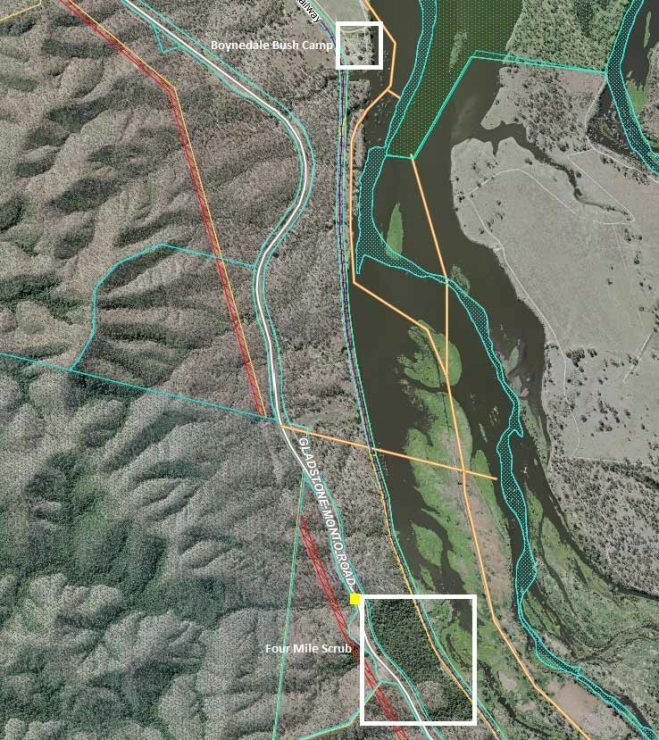 The second piece of good news – Rail Trail development by Gladstone Area Water Board. 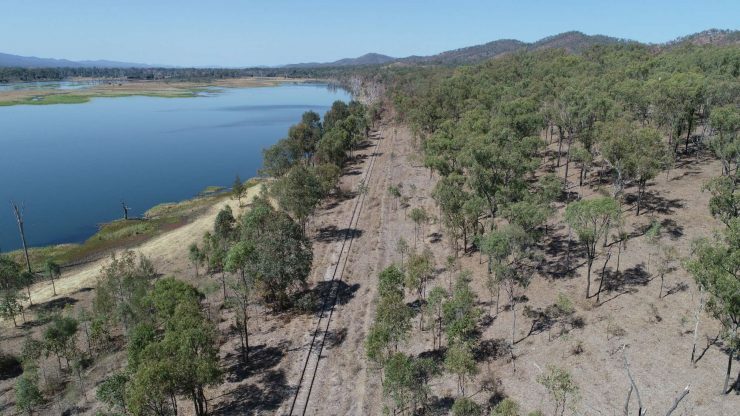 The Gladstone Area Water Board (GAWB) has proposed the development of a 3.5km stretch of rail trail, heading south from the Boynedale Bush Camp. The portion of rail trail earmarked for development by GAWB travels adjacent to Lake Awoonga and takes in stunning lake views and an abundance of bird life. The multi-use trail will be designed for use by walkers, cyclist and horse riders. The rail trail is the cornerstone project in GAWB’s Draft Recreational Strategy, which has been developed following 18 months of consultation with a group of community representatives. The Recreational Strategy has been endorsed by GAWB’s Board of Directors for stakeholder consultation and is scheduled for approval in early 2019. Subject to the approval by the Board, the Recreational Strategy is planned for release in April 2019. The development of the rail trail will be subject to Queensland Competition Authority approval. This is great news for the Trail, a couple of fine Christmas gifts. It also means that matching funding may be available from the State Government, to do further work on developing the Trail. Sounds fantastic. I would love to walk or cycle these trails. Great to see progress being made on this venture. 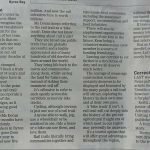 Rail trails have proven to be popular, and the possibility of one linking the Boyne Valley with Gayndah, through all that wonderful country and scenery and history, would be terrific. Imagine being able to hike, cycle or ride for days on a safe and managed trail! Two excellent outcomes. Congratulations BBIRT. If GAWB can kick off our project with their 3.5km section of trail and the QLD gov matches that we are on ouw way. Very exciting! This trail has so much to offer. And all those bridges… how good is that? Well done BBIRT. May the next 12 months be as rewarding.